Banks have paid out €647m in redress, compensation and costs to customers caught up in the tracker mortgage controversy, new figures from the Central Bank show. The number of borrowers identified as being affected by the issue had risen by 1,400 since the end of August to 39,800 by the end of December, the bank said. The regulator has said the payment of redress and compensation is now largely complete, with 97% of verified customers now having received offers of redress and compensation. A further €67m has been paid out to customers since the end of August, the bank said. The six main lenders here have set aside €1bn to compensate customers with tracker mortgages who are found to have been mistreated by the banks. "The examination has revealed the unacceptable damage that misconduct can cause to consumers up to and including the loss of their homes and properties in some cases," said Derville Rowland, Director General of Financial Conduct at the Central Bank. "The Central Bank's strategic commitment is to elevate the regulation of the behaviour of firms and the operation of financial markets in order to protect consumers. "The examination was structured to give priority to ensuring affected customers received the redress and compensation payments which they were owed. "However, our work will continue through the ongoing enforcement investigations." The Central Bank said the supervisory phases of its inquiry are now nearing completion, with the final report expected to be published in the coming months. It said it will continue to "challenge all lenders until it is satisfied that all groups of affected customers have been identified". However, the bank also said further work on the issue might result in more affected customers being identified. 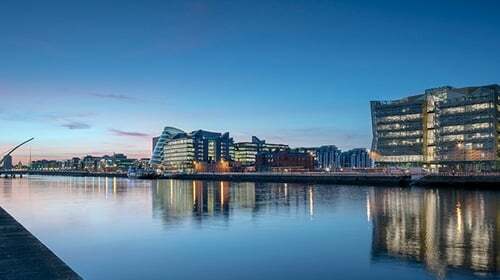 All six of the lenders - AIB and its EBS subsidiary, Bank of Ireland, Ulster Bank, Permanent TSB and KBC Bank Ireland - are subject to enforcement proceedings by the Central Bank. The bank said the first of these proceedings will conclude this year. Among the 39,800 customers identified for refunds and compensation are around 32,700 accepted by lenders as part of the examination, as well as around 7,100 tracker mortgage cases probed by the Central Bank outside of the official examination. The investigation began in 2015, when the Central Bank ordered lenders to look through their records to identify any customers who had wrongly been moved from or denied tracker mortgages, which follow the ECB main lending rate when it goes up and down. The controversy is the biggest overcharging controversy in the State's history.